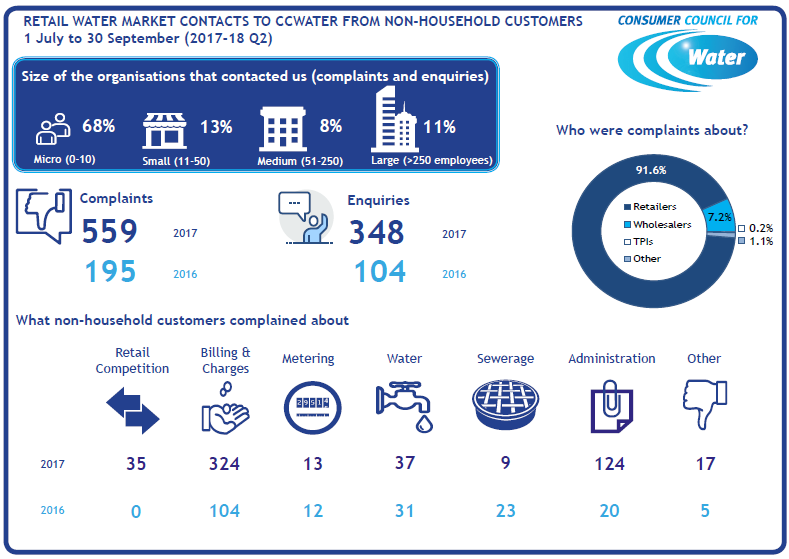 MOSL and CC Water published data on market activity and customer complaints from the second quarter (July-September 2017). 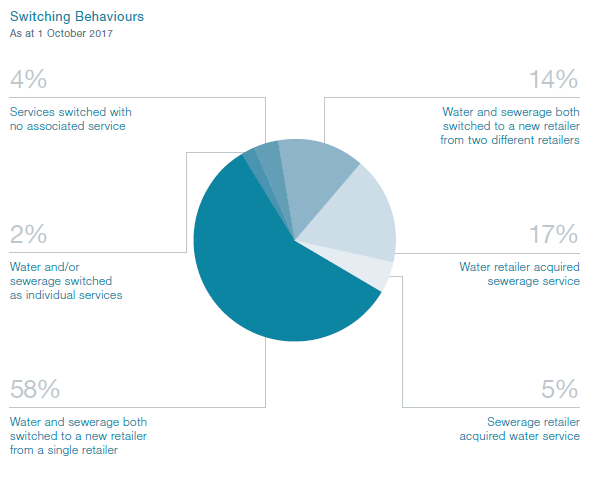 In the first six months of the water retail market in the UK there have been over 61,000 switches and a growing number of retailers offering customers choice. It is promising to see continued growth in the market since it opened in April this year. Providing customers with choice and innovation is key to continuing success and positive outcomes across the sector. Ofwat are continuing to regulate and monitor the market to help it work efficiently and effectively, providing benefits to businesses and other organisations while also protecting them. 25,010 supply point switches were processed during the second quarter, bringing the total number so far since market opening to 61,311. This represents 2.3% of the 2.7 million supply points in the market. 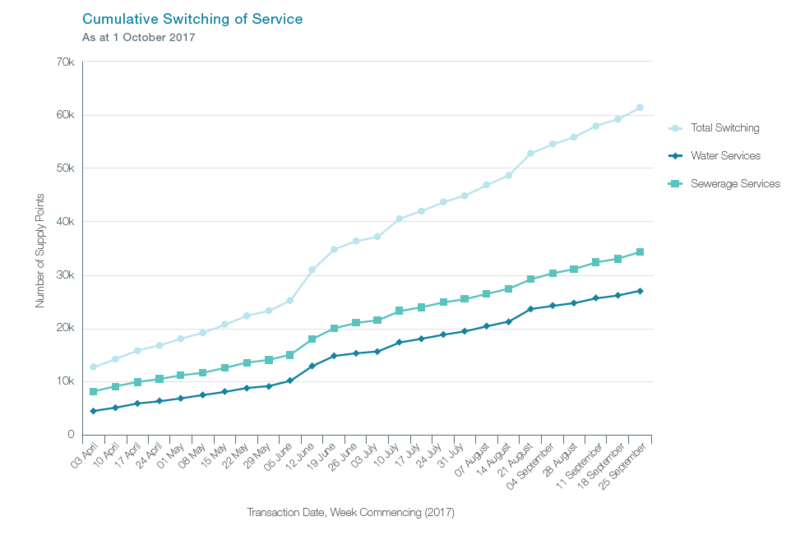 The data from the second quarter since market opening continues to show a preference by customers to have one retailer for both their water and wastewater services. 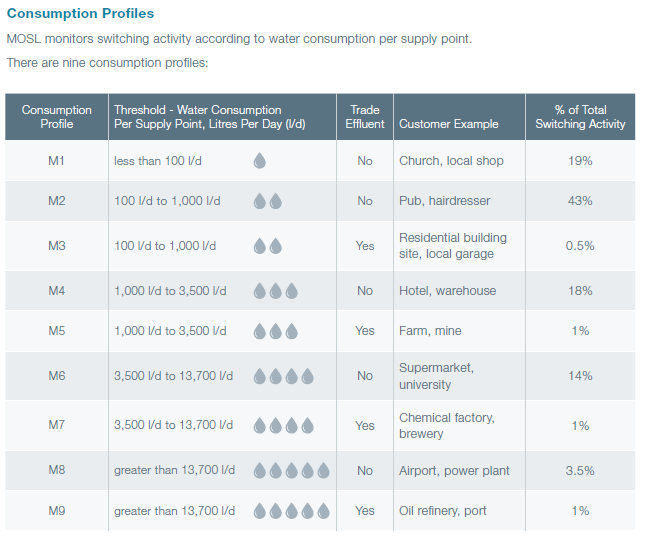 CC Water compiled customer complaint data from the second quarter.